Mobil SHC 500 series of hydraulic oil have been proven to offer greater energy efficiency benefits in hydraulic equipment than standard mineral hydraulic oils. Compared to standard mineral hydraulic oils, Mobil SHC 500 can help to reduce hydraulic system energy consumption by up to 6.2 percent*, and as a result will display the company's proprietary "Energy Efficiency" logo on packaging. Improved hydraulic efficiency benefits can translate to increased machine productivity and/or reduced fuel consumption. The Mobil SHC 500 series was developed in conjunction with major OEMs to meet the stringent requirements of demanding hydraulic systems and to help manufacturers improve safety, productivity and sustainability performance across a variety of applications. The range of supreme-performance hydraulic oils is formulated from synthesised, wax-free, hydrocarbon base fluids combined with a carefully engineered super-stabilised additive system. 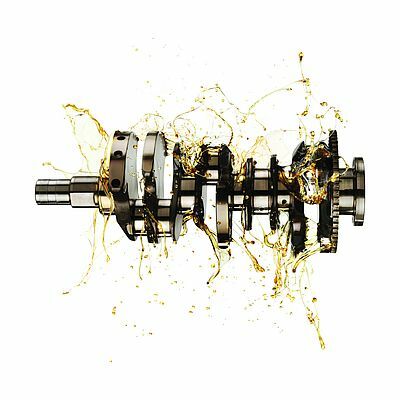 These high-quality, wide-temperature, shear-stable hydraulic oils offer manufacturers the benefits of controlled low-temperature pumpability properties with maximum anti-wear protection for high-pressure vane, piston and gear pumps. The increased hydraulic efficiency, system cleanliness and durability offered by the Mobil SHC 500 series can help manufacturers extend oil drain intervals and optimum equipment protection decreasing both machine maintenance and product disposal costs. Additionally, the increased hydraulic efficiency potential of Mobil SHC 500 can reduce overall CO2 emissions, helping to lower the environmental impact of operations. The Mobil SHC 500 series lubricant is designed to perform in extreme environments, providing excellent low and high temperature performance along with an extra margin of equipment protection beyond the capabilities of comparable mineral oil-based products. Andrea Jacobsen, Industrial Marketing, Europe, Africa & Middle East, ExxonMobil Lubricants and Petroleum Specialties Company says, "Raising operating costs and ever increasing regulatory requirements are two of the main challenges facing organisations across a wide range of manufacturing and processing industries. By significantly extending oil drain intervals and helping reducing energy consumption, Mobil SHC 500 can help companies optimise productivity and improve profitability. The annual fuel savings alone can sometimes be more than the yearly cost of the hydraulic oil." "The benefits offered by the Mobil SHC 500 series are further proof of how Mobil Industrial Lubricants' application expertise and portfolio of synthetic products can help manufacturers worldwide minimise unscheduled downtime and increase productivity."